The Oncotype DX Colon Recurrence Score test is a genomic test. That means it looks at the genes of your tumor. Specifically, the Colon Recurrence Score test looks at the activity of genes that provide real insights into cancer tumor biology. Read more about the Colon Recurrence Score test. When should the Oncotype DX test be used for people who have colon cancer? 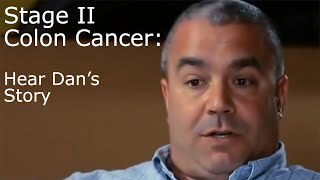 Have been diagnosed with stage II or stage III A/B colon cancer. Have had surgery to remove the tumor. Have not yet started chemotherapy or other treatment. The test is performed after the surgery to remove your tumor, but before you start treatment—since it’s meant to help guide treatment decisions. 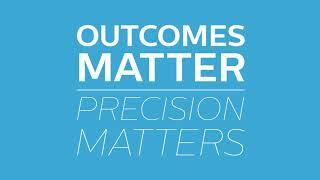 Learn more about how the Colon Recurrence Score works. What kind of information does the test provide, and how can it help me? Using a score between 0-100, the Oncotype DX Colon Recurrence Score test shows the likelihood of colon cancer returning. The Recurrence Score result shows the likelihood of colon cancer returning within three years of the initial diagnosis, if treated with surgery alone. The Recurrence Score result shows the likelihood of colon cancer returning within five years of the initial diagnosis, if treated with 5-FU/LV chemotherapy, along with the absolute benefit of adding oxaliplatin to your chemotherapy regimen. The results of your Colon Recurrence Score test can help you and your doctor decide on the most appropriate treatment for you, based on the biology of your individual cancer. Will my insurance cover the Oncotype DX test? The Oncotype DX Colon Recurrence Score test is covered by Medicare, and private insurance coverage varies. 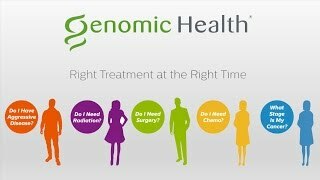 Genomic Health’s patient assistance program helps eligible patients navigate insurance and other payment options for Oncotype DX tests. Learn more about insurance coverage and financial assistance. The Oncotype DX Colon Recurrence Score test is performed on tissue removed during your initial surgery (resection), so no additional procedures or samples are needed. Your doctor should order the test after your surgery and before you start any chemotherapy. Find out if you’re eligible for the test. Results are usually available within two weeks from the date laboratory processing begins. MMR testing requires an additional 1-2 additional days. The results get sent to your doctor so he or she can discuss them with you and answer your questions. The pathologist who submitted the sample also receives a copy of your results. Why do I need to know my MMR status? 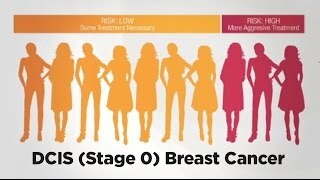 Studies have shown that stage II colon cancer patients who have MMR-deficient (MMR-D) tumors have a lower risk of their cancer returning compared to patients who have MMR-proficient (MMR-P) tumors.1-3 Knowing your MMR (mismatch repair) status gives you and your doctor more information to consider as you make decisions about your treatment. 1. Ribic et al. N Engl J Med. 2003. 3. Klingbiel et al. Ann Oncol. 2015.